Come volunteer with us at York’s RED Zone! 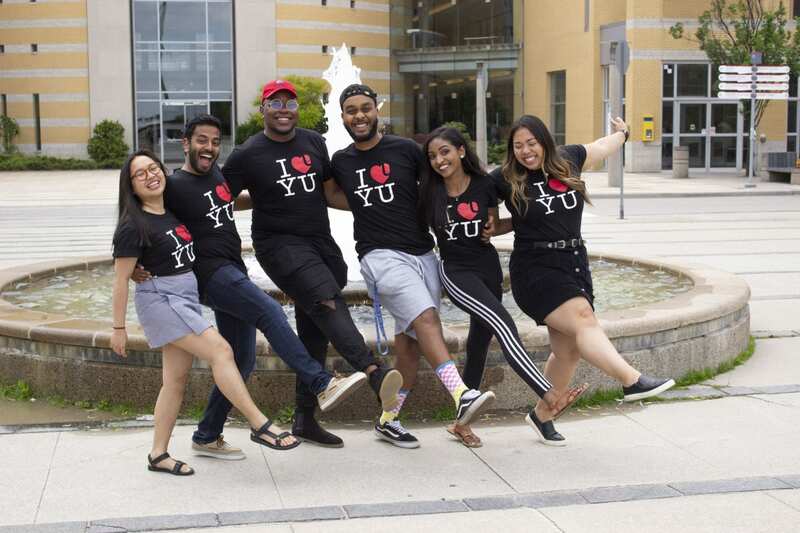 As a student at York University, there are many opportunities for you to kick start your involvement in the YorkU Jungle! Your journey could begin with us as a member of our volunteer squad! The RED Zone Volunteer Squad is a team of volunteers that assists the RED Zone in facilitating, organizing, and operating various events throughout the Fall/Winter term. As a volunteer, you will enhance your leadership skills and gain much more knowledge of campus and its resources. While proceeding with your journey, you will be enhancing someone else’s journey! Join the Volunteer Squad today! Here we post RED Zone as well opportunities to volunteer from other departments. Stay in the loop with the lastest opportunities by joining the facebook group "RZ Volunteer Squad 2018/19"
From time to time we host RED Zone volunteer opportunities - join the general mailing-list here. If you have any questions, do not hesitate to ask in the group or contact us.